To kick off the spring semester, the SAEM department welcomed Chaz Kellem, YWCA of Greater Pittsburgh’s senior director of advocacy for race and gender equity, to talk with students about the importance of diversity and inclusion in the workplace — particularly in the SAEM world. In his message to the students, Kellem emphasized: “There are a lot more to people than what you see on the surface." 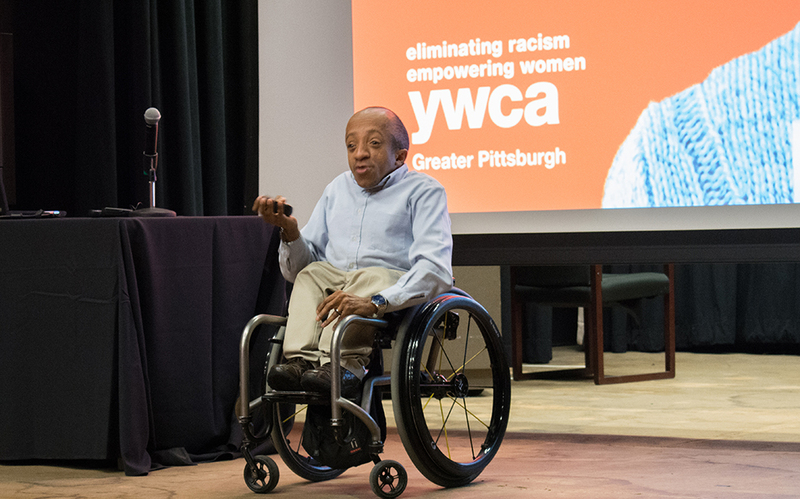 Before joining the YWCA, Kellem spent 10 years promoting diversity, youth and disability-awareness and community outreach initiatives as director of diversity initiatives for the Pittsburgh Pirates. “Chaz’s message captured the culture of diversity and inclusion that we strive for in the SAEM department,” explained Robert Derda, M.S., assistant professor of sports, arts and entertainment management. Derda managed Kellem when they worked for the Pirates. The two have known each other for the past 14 years. 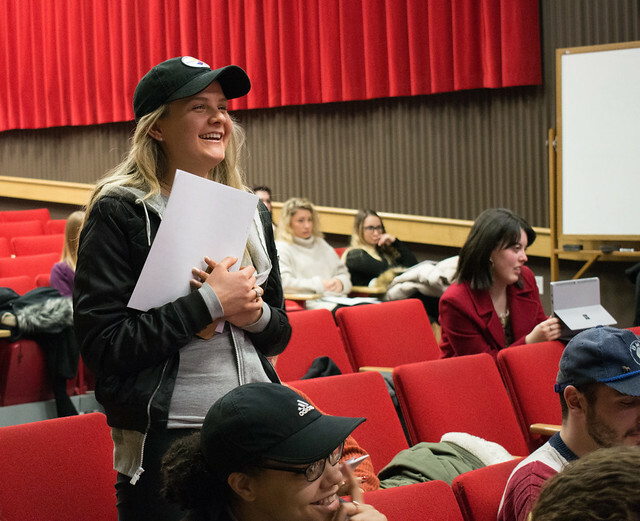 “This event gave us an opportunity to gather our SAEM students together to discuss shadowing, networking, internships and co-ops, as well as our #SAEMProud Code of Conduct,” Derda added. “I learned from Chaz to find out what makes me different and embrace it. As a future SAEM professional, events like this are beneficial because they give us insight into the working world and allow us to have face-to-face contact with successful professionals." — Olyvia DiDiano, a junior SAEM major from West Shamokin Junior-Senior High School in Kittanning, Pa.
"This event was powerful because I got to see the challenges Chaz faced and how he never gave up. This presentation inspired me to keep moving forward with my life goals despite any struggles. I look forward to more inspiring presentations like Chaz’s." — Jevin Fluegel, sophomore SAEM major from Union Endicott High School in Endicott, N.Y.
“I loved hearing Chaz talk to us about diversity and inclusion. What really stood out to me was his conversation about getting out there in the world and doing something you’ve never done before. I attend as many events like this as I can because you learn something new every time and you get the chance to network with experienced people in our profession." — Keely Sapienza, junior SAEM major from Woodland Hills High School in Pittsburgh, Pa.
“I thought that Chaz was one of the best speakers the SAEM department has brought in so far. It was inspiring to hear from someone who has done so many things he was told he would never be able to do. He was absolutely wonderful.” — Baylee Zimmerman, senior SAEM major and SAEM Club president from Kutztown Area High School in Kutztown, Pa.